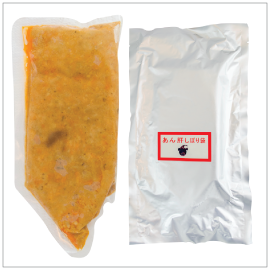 A Japanese delicacy, ankimo (monkfish liver) packaged in a squeeze pouch. EASY TO USE, FULLY-COOKED and READY-TO-EAT. Simply defrost and use. This versatile product is great for creative chefs - add some creamy decadence to appetizers or use as a fancy finishing touch to a plate.